Strategic legal services that are professional & cost effective. 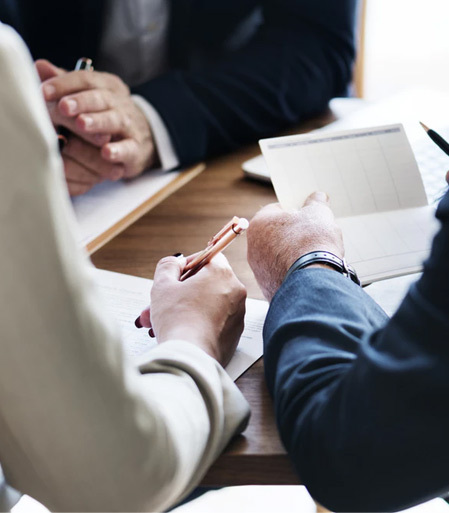 At Young McNamara, our expertise of the law coupled with our commitment to getting to know you, ensures that we are acting on your best interest. We are a small firm with one lawyer plus an experienced support staff, based in the Niagara Region. For over forty years we have been providing superior legal services from our office in downtown Thorold, a central location, convenient to the residents of the Niagara Region. Although we are a small firm, we pride ourselves on our heritage and traditions by providing you with personalized attention and timely results. We believe that hiring a lawyer is an important step in solving your legal issues. It is our goal to serve our clients in a competent, cost effective manner. Young, McNamara strives to deliver to its clients, strategic legal services in a cost effective and professional manner. Our expertise of the law coupled with our commitment to getting to know you, ensures that we are acting on your best interest. "After purchasing my first property, Young and McNamara made the experience much easier than I ever expected. They were very thorough in making sure that I understood every significant detail along the way. I left impressed." "Due to complications with the builder of our new home, there was a possibility that we would not be able to move in to our home. Chris's experience and knowledge came into play when we were trying to close the deal. Chris was able to find a way for us to move into our new home with out any delays and keep the deal alive. Thank you so much for professional service and your expert knowledge."